Since there's been a number of posts and pics about this one recently, I figured it was a good time for this one to be the BOTM (by itself) again. Many folks seek the perfect bourbon. Questions have been raised and opinions expressed here. Mine included. Well, there is, but isn't such a thing as the perfect bourbon. I've mentioned before that I've found the perfect bourbon. Numerous times. I've also kiddingly referred to "the one in my glass" as the perfect bourbon. While the HH 6 may not be the perfect bourbon, IMHO, it comes pretty darned close. Given the fact that I'm a wheater whore, but also disregarding that fact, (DAMN!) if there was any one bourbon that I'd have to recommend to anyone, whether new or old to the bourbon world, it would be this one. As I posted before, I bought a case of this in KY in April. Out of the twelve bottles, nine went to friends in my local bourbon/cigar group and my niece's husband. All had tasted it before, and were interested in a bottle or two. I've grown comfortable but picky the last few years. I've given up the chase for the hard to find LE's and expensive stuff. Been there done that. It doesn't float my boat anymore. Instead, I've decide to buy more of what I like, and the HH 6 is one of those. As a matter of fact, on my last few trips to KY, pretty much all I've brought back home with me are HH BIB's, and most of those were the HH 6. I hope my bunker will always have at least a bottle or two, or ten residing in it. IMHO, the HH6 is one helluva bourbon, and it has a lot going for it. Given it's age, flavor, and price point, in some regards it could almost be considered the quintessential value pour. 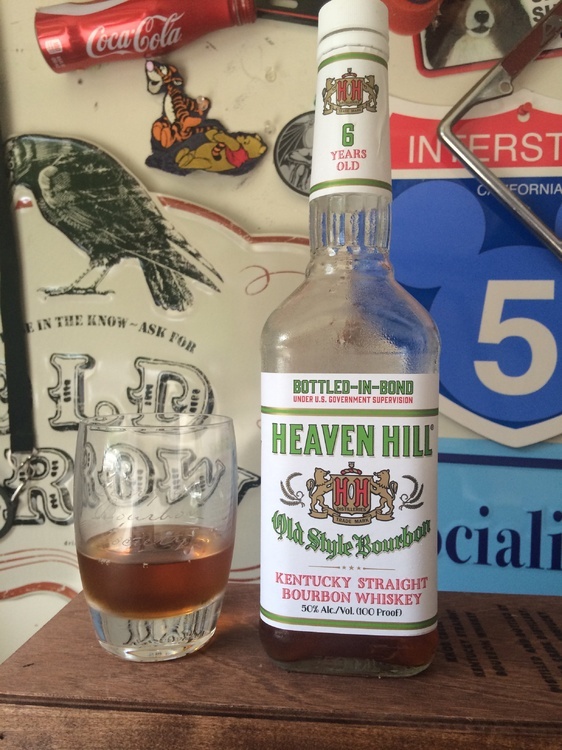 Let's hear what y'all have to say about Heaven Hill 6 year old BIB. Well, I say it's a hell of a good choice for BOTM! 6 years old, 100 proof BIB goodness... for $10 and change around these parts. It's more expensive here ($18 including tax) but is still a bargain. It's a favorite budget pour for me. It's now been discontinued but I still have a half dozen to enjoy. Can't beat the price to quality ratio on it. It definitely punches above it's weight (price) which is saying something given how inexpensive it is. It is no secret that this is my go to bourbon. I have had all of the HH bondeds, this one is my favorite flavor profile. I can buy the EWBIB local, but I can taste the youth of the whiskey. If I had to guess, it is not more then 4yrs old. The extra 2yrs of the 6yr definitely makes it taste as a mature whiskey. And, I am amazed that anyone can make any money (distiller, wholesalers, retailers), given its $10-11 price point. All of the above is absolutely true. AND, I'll go on to say that, for me, at around double the price (not that I'd advocate HH doubling it, NO,PLEASE) I'd still consider it a bargain as to price/value, and "enjoyability". I never fail to bring some back whenever I find it. I reach for it waaaaaay before grabbing many of the 'more favored' brands sought after by many folx. In my opinion, they're missing a great pour at a great price. This is certainly on my list of BIBs to add to the cabinet. Like an idiot, I left KY without purchasing a bottle of this on my last visit, so I don't have anything else to say about the BOTM. Not available here - but how similar is EWBIB? Is it a 6 yr version of the same? You can definitely tell they're related Jim. For a long time I went back and forth between EWBIB and HH6 BIB as to which was my favorite. The HH 6 finally won out. Glad to see HH6 offered up as BOTM. It's a favorite "gifting" bottle of mine - largely because it's something of a novelty in Colorado. 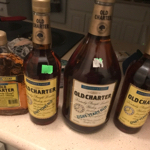 Several bottles made the pilgrimage from my parents' Indiana home, purchased around the $10 mark maybe 2-3 years ago. It's simply a stupidly amazing value at that price. I didn't find any in that range when I was back a month ago, but I have enough other unopened bottles sitting around that I should consider that a blessing. Put against every other $10-12 bourbon I can think of, this one almost tops the list....and all of my top three favorites in that price range come from Heaven Hill (incidentally, all also BiB). The floral notes in the midpalate and eucalyptus in HH6's finish can sometimes be a little over the top, but they tend to mellow as the opened bottles settle and there are times when those notes are the specific reason I grab HH6. IMO, nothing compares with HH6 and EW BiB until one crosses the $20 price threshold and they hold their own against most of the occupants of that shelf too. We need more juice like this in our lives. How about JW Dant BIB? 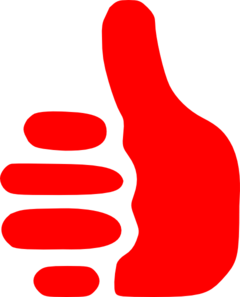 I actually saw a noticeable difference between JW Dant and EW BIB and personally preferred EW. Would love to try HH BIB 6yr guess I need to find an excuse to get to KY. Interesting that EW BIB sells for more than HH BIB. ...... guess I need to find an excuse to get to KY. Going to Kentucky IS the excuse for going to Kentucky. Yeah should've edited that need to go to Kentucky. Unfortunately it is so Joe! I won't forget next time though...just not sure I'll buy a whole case like someone else I know. Cheers! ..just not sure I'll buy a whole case like someone else I know. Flahute, you mentioned up above that HH6BIB is being discontinued? Is that true? Effective now, or when? Not discontinued but only available in KY now. Only discontinued in Washington State. It was never technically available here but HH will occasionally send a pallet of it to a market that doesn't have it. Ours has run out. Ah, got it, thanks! Near the KY border here and it's a regular pour for me...you scared me! Forgot to add the pic of tonight's pour while I settle into the garage for Braves radio... Which led me to realize that since my beer/spirits/excess of everything fridge is in the garage, 95% of my pours of this whiskey happen in the garage...I'm not sure a bottle of this has seen the inside of the house more than a few times in the last decade! Exactly what I experienced yesterday. I was surprised by the oak on the end for only 6yrs old. (I don't taste this at room temperature). I loved it. Smoknjoe you might need a few more pours once the Stros bullpen shuts down the Braves and they start hitting like yesterday.